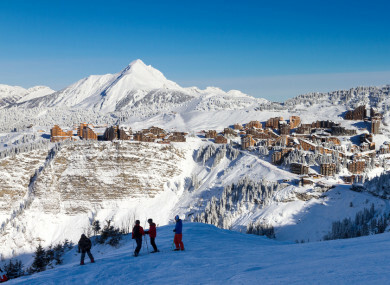 The boys were found at the foot of a 150-metre cliff in a forest at the Avoriaz ski resort. FRENCH AUTHORITIES SAY a 13-year-old boy has died after falling from a cliff in the French Alps while his 10-year-old brother survived. Local police said overnight searches by about 30 police and mountain rescue officers led to the discovery of the children early this morning. They were found at the foot of a 150-metre cliff in a forest at the Avoriaz ski resort. Local media reported the children’s father called police yesterday afternoon after the brothers, who were skiing alone, failed to show up. The younger brother has been taken to the Thonon-les-Bains hospital. Police say his condition is not life-threatening. The children were on a family holiday in Avoriaz, near the border with Switzerland. Email “13-year-old boy dies after falling from cliff in French Alps”. Feedback on “13-year-old boy dies after falling from cliff in French Alps”.